A new Anesthesiology Residency Program, based at Ocala Regional Medical Center, has received initial accreditation and is seeking immediate applicants for physicians who are completing their internships and will begin second-year training on July 1, 2018. The Accreditation Council for Graduate Medicine Education (ACGME) approved the three-year Anesthesiology program for a total of 27 residents – nine per year. The program will be directed by Dr. Ettore Crimi who completed his residency in Anesthesiology at Harvard’s Massachusetts General Hospital, a Cardiac Anesthesia Fellowship at Stanford University and a Critical Care Fellowship at the University of Florida. Dr. Crimi has also completed a Research Fellowship at the University of Toronto. 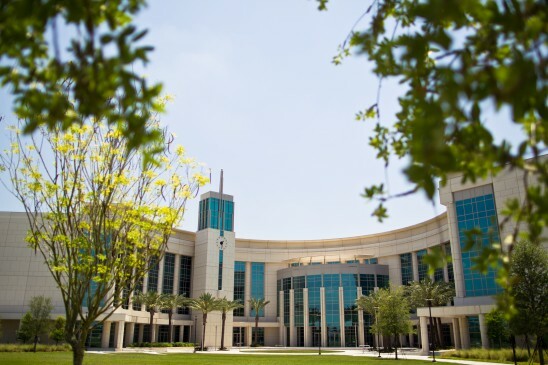 The new residency is part of the UCF College of Medicine-Hospital Corporation of America consortium, which has brought 20 graduate medical education programs to Central and North Central Florida in the past four years. The partnership is now training about 250 residents in Gainesville, Ocala and greater Orlando and expects to add a total of 600 residency slots to the state by 2020. Anesthesia residents will benefit by having rotations at multiple HCA sites — North Florida Regional Medical Center in Gainesville and Osceola Regional Medical Center in Kissimmee – in addition to Ocala. Anesthesiology is the sixth UCF-HCA residency program at Ocala Regional Medical Center, a 222-bed facility and Verified Level II Trauma Center. The medical center offers a variety of medical services including bariatric surgery, cardiac and vascular, emergency, neurological and rehabilitation. It is accredited by the American College of Surgeons’ Commission on Cancer, the American Society for Bariatric Surgery, the Society of Chest Pain Centers and the Joint Commission, as well as the Joint Commission’s designation as a Primary Stroke Center. North Florida Regional Medical Center is a 432-bed, full-service medical and surgical acute care center and one of the nation’s top performing hospitals on key quality measures as recognized by the Joint Commission. It is an accredited Chest Pain Center and a Blue Distinction Center for Knee and Hip Replacement, Spine Surgery and Bariatric Surgery. Osceola Regional Medical Center has undergone major expansion of its services and facilities, doubling in size to approximately 400 beds over the past few years. The hospital is a Level II trauma center and includes a Comprehensive Stroke Center, Acute Physical Medicine Rehabilitation and programs for high-risk obstetrics and behavioral health. Osceola Regional has received accreditation with commendation from the American College of Surgeons Committee on Cancer and is Joint Commission disease-specific certified in breast, colorectal, lung cancer and sepsis. Applications are now open for the 2018-2019 academic year and should be submitted through ERAS. Qualified applicants will be selected for interviews. To learn more about the Anesthesia program at Ocala Regional Medical Center, please contact Jacklyn Fuller at: jacklyn.fuller@hcahealthcare.com.